Have you ever wondered why art and crafts are so important for child development? And for children age 3 – 8 experts say it is the most important way to help them grow and develop. That’s why they do so much of it at kindergarten and primary school in Hong Kong, Singapore and all around the world! As a kindergarten teacher and mother, I can personally vouch for the benefits first-hand as I started doing arts and crafts at home with my daughter Kelly from a very young age. Kids love to do arts and crafts and it’s important for them to practice it both at school and at home. 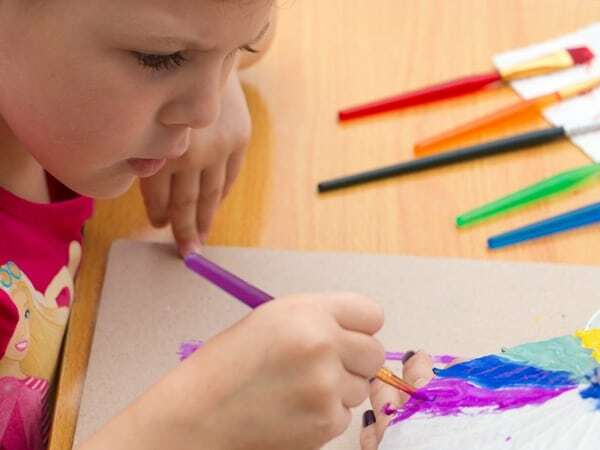 Here are 6 important areas of child development that you can help your kids practice by doing art and crafts with them at home in Hong Kong. When kids use their fingers to manipulate art materials they are developing their fine motors skills as they use those small muscles in their hands. Their bilateral coordination skills improve as they learn to use both hands at the same time. All this happens when they paint, colour, glue and cut. The quicker their fine motors skills develop the more they can do on their own, from eating by themselves to tying their own shoelaces. I remember when we first taught Kelly to tie her laces, she could tie them herself after a day! Amazing! Basic math skills are often not thought of as being part of art and crafts activities. But math skills are used frequently and have a positive effect of developing mathematical skill in preschool children. Kids get to learn about and recognise different shapes, count and sort out their art supplies and even measure out lengths and sizes of art materials. To master math, you need good thinking and problem-solving skills which art and crafts activities help with whole child development as well. Art allows kids to develop their creativity which is important throughout their lives. By doing something creative, you allow for self-expression and this lets kids express (and cope with) their feelings. It also fosters mental growth in children by providing opportunities for trying out new ideas, new ways of thinking and problem-solving. Art and craft activities give kids a sense of achievement and allow them to take pride in their work which builds confidence. Making art is a great, safe way to discover that it’s okay to make mistakes and that getting things ‘wrong’ can lead you to a whole new idea. Kids get to try new things and also develop their “self-regulation skills” (e.g. when waiting for paint or glue to dry). 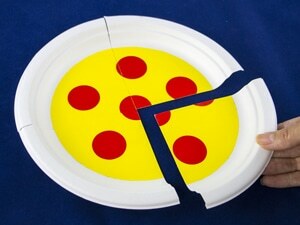 This helps them develop patience, which all kids need help with! Even me sometimes! Kids just love to spend time with their parents and what better way than to do arts and crafts together! You get to spend quality time bonding with your kids and at the same time, you are creating lifelong memories to cherish. While you are crafting together you get to talk about what you are making and discuss different ideas and subject matters. You can talk about what you think, feel and care about. And as an even added bonus, your child isn’t using technology or looking at a screen! Kelly just loves doing a range of art and crafts with both me and her dad, from simple colouring and painting to making something 3D. As you can see, there are many reasons for your child to do art and crafts that will improve child development. But I also think it’s a great way for parents in Hong Kong to spend quality time with your kids and keep them off those screens! 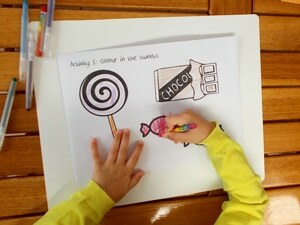 If you are looking for fun arts and craft ideas, check out the DIY activities on our blog. Or if you are interested in a convenient way to try a range of different art and craft activities at home with your kids in Hong Kong, why not subscribe to ActivityBox! Each month you’ll receive a Box with 4 art and craft activities to do together with your kids at home. Step by step instructions and all the materials you need are included, so it’s easy to get started this weekend.